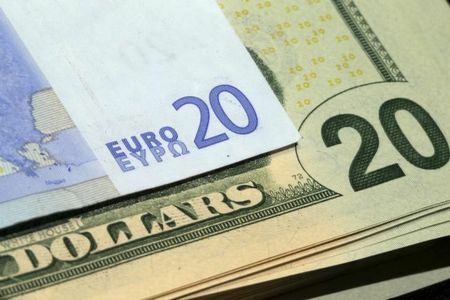 -- The dollar edged upwards to a new high for 2019 in early trading in Europe Monday, as the slowdown in the euro zone showed signs of raising more political instability. At 03:10 AM ET (0810 GMT), the euro had fallen to $1.1317, as fears for the economy drive yields on safe assets to unattractively low levels. The German 10-year government bond yield last week fell below 0.10% for the first time in over two years, amid repeated signs of weakness in the economy that has been the most reliable source of growth in Europe for the last decade. The slowdown appears to be putting Germany’s coalition government under strain. The center-left Social Democratic Party that is the junior partner in the current coalition has proposed big increases in public spending to support growth, in the form of higher pensions and minimum wages and a reform to jobless benefits. The proposals would likely spell an end to the budget surpluses that Chancellor Angela Merkel’s Christian Democrats have engineered in recent years. “Given the recent explosion of new policy proposals by the SPD, and knowing that (the) CDU will hardly embrace them, the risk of an end of Germany’s grand coalition before next elections has increased,” ING analyst Carsten Brzeski said Monday via Twitter. Elsewhere in Europe, the British pound has also opened weaker after another weekend passed without clear progress in avoiding a hard, ‘no-deal’ Brexit. Prime Minister Theresa May has courted the opposition Labour Party to help her get her withdrawal deal through parliament, but Labour still insists on staying in a customs union with the European Union – something unacceptable to most of her own party’s lawmakers. The pound was at $1.2911, near last week’s lows. The dollar index, which tracks the greenback against a basket of major currencies, was up 0.1% - rising for an eighth straight session -- to 96.530. Earlier in Asia, the Chinese yuan fell some 0.5% to a three-week low of 6.7779 against the dollar as onshore markets opened after the week-long holiday for the Lunar New Year, as traders passed a gloomy judgment on the last week’s news on the U.S.-China trade dispute. Volumes have been generally low overnight thanks to the public holiday in Japan. The USDJPY pair was a touch higher at 109.99. The thin liquidity triggered a brief drop in the Swiss franc, according to Bloomberg, but the move was relatively minor and soon reversed.